Apple & Microsoft's FREE Summer Camps! If your child's into coding, making music or videos, take advantage of these FREE summer camps at area locations. Hey techy kids! 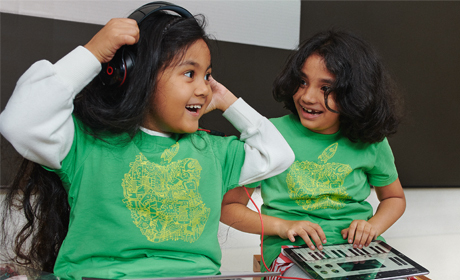 Did you know the Apple Store has FREE summer camps? Even Microsoft is in on the game. Spots are filling up — some may have a wait list! Please note, however, that they will most likely require the parent/guardian to remain present during the camp. Kids ages 8 - 12 explore creativity through fun, hands-on projects across three tracks ranging from coding and robotics, moviemaking, or musical storytelling. The camps are three 90-minute sessions that take place inside the store at CoolSprings Galleria (1800 Galleria Blvd., Franklin). They've not yet posted this year's camps, but you can sign up to receive an email alert when they do. Learn more and sign up at apple.com/today/camp. 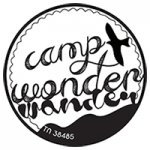 The summer camp for ages 8 and older takes place inside the store at the Mall at Green Hills (2126 Abbott Martin Road, Nashville). There are so many to choose from, but here's a round-up to get you started. They also offer workshops on a regular basis for kids and adults. 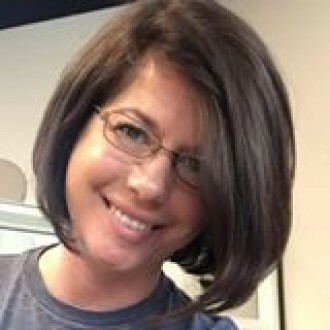 Call 629-215-7710 or visit microsoft.com for more info. This free four day, two-hour camp takes place May 27 - 30 from 10 a.m. - 12 p.m. and June 17 - 20 from 1 - 3 p.m. It offers lessons in developing positive life skills like teamwork, communication, and resilience via group discussions and unplugged activities. Each session features a fun competitive gaming team tournament with Rocket League that helps reinforce the camp’s learning objectives and puts gaming skills to the test. The same camp is available for ages 13+ June 17 - 20 from 10 a.m. - 12 p.m. This free four-day, two-hour camp takes place June 3 - 6 from 1 - 3 p.m. Students learn key fundamentals of computer programming with Minecraft, using the Microsoft MakeCode platform. This free four-day, two-hour camp series takes place June 10 -13 from 10 a.m. - 12 p.m. and June 24 - 27 from 1 - 3 p.m. Students research and identify a cause they care about in their local community, and create action plans to fundraise, volunteer or get the word out about their personal cause. This free two-day, two-hour camp series takes place June 19 - 20 from 5:30 - 7:30 p.m. and July 1 - 2 from 1 - 3 p.m. The Ohbot robot teaches students coding and robotics via rap battles and chose-your-own-adventure-style programming. This free two-day, two-hour camp series takes place June 26 - 27 from 5:30 - 7:30 p.m. Students learn basic skills in robotics and coding using the Ohbot robot for Windows 10 as a group, in pairs, and individually, and also create code that makes the robot move and speak. This free two-day, two-hour camp series takes place July 1 - 2 from 10 a.m. - 12 p.m. Students learn to make and then hack “spells” with the Harry Potter Kano Coding Kit wand.